Thank you for visiting Vornado.com (the “Website”). 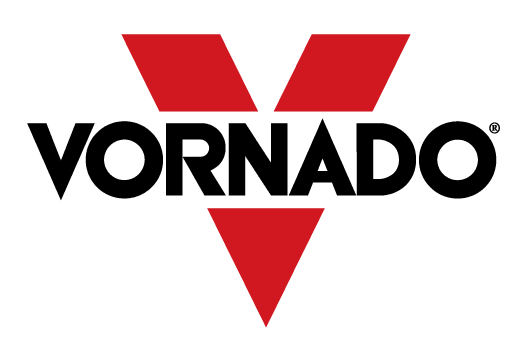 Vornado Air LLC (“Vornado,” “we,” or “us”) is committed to protecting your privacy. We strive to keep your Personal Information (as defined below) confidential. Vornado is the data controller with respect to all of the information, including Personal Information, collected from visitors to the Website. The obligations of a controller is to provide you with information of what, why and how we process your information. Whether or not to provide Vornado with Personal Information is completely your own choice. But if you choose not to provide the information we request, you will be unable to purchase our products on the Website and receive certain information and services on our Website. We collect information about you in several ways. For example, we might ask for your contact information when you correspond with us, call us to make a purchase, or request service. We also collect information, including Personal Information, when you create an account, participate in any interactive features of the Website, fill out a form, or otherwise communicate with us via the Website. In addition, when you register a new Vornado product or ask to be included in an email mailing list, we collect and store the information and Personal Information you provide in a secure database. Meeting legal or other regulatory obligations imposed on Vornado. The Personal Information that you provide to us and information about your order may be combined with other Personal Information (such as demographic information and past purchase history) available from our records and other sources. This information may, with your consent, be used to for future marketing efforts, business development and making the operation of our Website more efficient. Occasionally we may use Personal Information to send you details of new services, updates, and invites to events. We will, however, only do so when we have a legitimate interest to contact you and/or where you consent to being contacted in such way. If you prefer not to receive promotional material from Vornado, please let us know by e-mailing us at privacy@vornado.com and put “unsubscribe” in the subject line together with the name of the publication you wish to unsubscribe from. Our marketing communications will also include an “unsubscribe” link. To provide and administer the sales of our products and services on our Website, we may need to share your Personal Information with our partners and different service providers or suppliers that we work with. This does not adversely affect your rights. We will take all reasonable steps necessary to ensure transferred information is kept secure as required by applicable data privacy laws.  Please be advised that in certain circumstances, Vornado may be required to disclose your Personal Information to governmental organizations, attorneys and private agencies that conduct relevant criminal and civil investigations, or otherwise as required by our legal obligations. When the retention time is reached your information may be destroyed. You may also ask Vornado to transfer your Personal Information upon request. Please contact privacy@vornado.com to request transfer of your Personal Information or for more information regarding retention time and retention of information. We want to keep your Personal Information as correct and updated as possible. If your Personal Information is incorrect or has changed, please inform us by sending us an email to privacy@vornado.com. Following your initial transaction on our Website, we want to continue to communicate with you only if you want to hear from us. If you prefer not to receive information from us please let us know by sending your written request via email to privacy@vornado.com. Please provide your full name and email address, and describe specifically what information you do not want to receive. Please note that it may take up to two weeks for your request to become effective. If you do not want Vornado to deploy cookies in your browser, you can set your browser to reject cookies or to notify you when a website tries to put a cookie in your browser software. Rejecting cookies may affect your ability to use of some of the services and functionalities at our Website. Vornado uses commercially reasonable efforts to safeguard the security of your information with physical, electronic, and managerial procedures. Likewise, we urge you to take every precaution to protect your Personal Information when you are on the Internet. Change your passwords often, use a combination of letters and numbers and make sure you use a secure browser. The Website uses industry-standard Secure Sockets Layer (SSL) encryption on all web pages where Personal Information is required. To make purchases from the Website, you must use an SSL-enabled browser, such as +. This protects the confidentiality of your personal and credit card information while it is transmitted over the Internet. We may update browser requirements from time to time by posting a notice on the Website. Remember to sign out of your Vornado account and close your browser window when you have finished your work to ensure that others cannot access your account by using your computer when you are away from it. Because of the global nature of the Internet, when you give us information, that information may be sent electronically to servers outside of the country where you originally entered the information. Unfortunately, no data transmission over the Internet can be guaranteed to be 100% secure. Except as discussed above or otherwise designated, the Website does not use security encryption measures. Therefore, information that you disclose by use of the Website (as with any website that is non-secure), by posting a message or using e-mail, potentially could be collected and used by others. This may result in unsolicited messages from third parties or use of such information by third parties for their own purposes, legal or illegal. As a result, while we strive to protect your Personal Information, we cannot ensure or warrant the security of any information you transmit to us or from our services, and you do so at your own risk. The Website is not intended for children under 13 years of age. Vornado does not knowingly solicit Personal Information from children or send them requests for Personal Information. If you are under 13, do not use or provide any information on this Website or on or through any of its features. If we learn we have collected or received Personal Information from a child under 13 without verification of parental consent, we will delete that information. California Civil Code Section 1798.83 permits customers of Vornado who are California residents to request certain information regarding our disclosure of personal information to third parties for their direct marketing purposes. To make such a request, please contact us electronically at help@vornado.com or write to us at the address set forth below.